MN Twin Cities WAKA Kickball: Happy First Day of Spring Kickballers! Happy First Day of Spring Kickballers! The snow is gone, the trees are starting to bud, and we're ready to come out of hibernation for a season of fun! Spring kickball will start on Thursday May 19, with playoffs taking place on July 16. 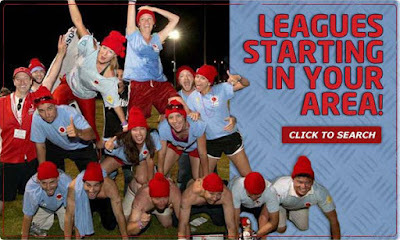 Did you know, National Kickball Day is Thursday, April 21?! Sixth Annual WAKA Twin Cities Scavenger Hunt Is April 16! Imagine all the fun we have at the bar after kickball, but add an organized scavenger hunt, prizes and a post-party! Join us at The Fremont in uptown Minneapolis for all of this! Plus start planning your Spring Kickball Team, registration is open for Wednesday and for Thursday! That’s all for now – Hope to see you in a few weeks at the Scavenger Hunt!